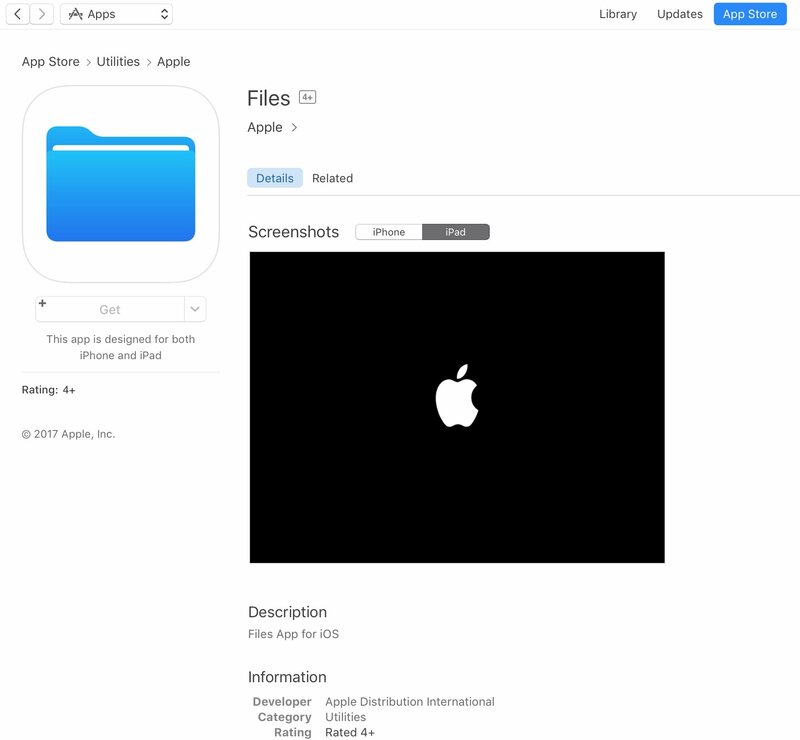 A placeholder listing for a new Apple Files app has briefly appeared on App Store ahead of today’s live-streamed WWDC keynote, as spotted by iOS developer Steven Troughton-Smith late Sunday. It’s surfaced in the Utilities section of App Store and has since been removed. No screenshots or the official description were provided. 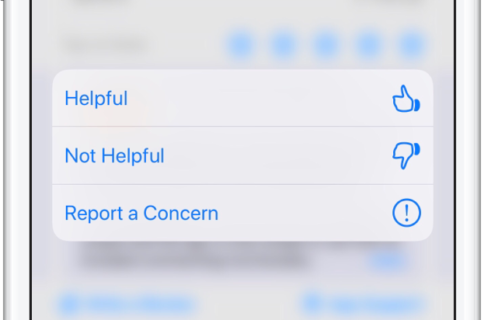 The app requires iOS 11 and 64-bit support and is designed for both iPhone and iPad. It sports a blue file folder icon resembling the design for folder icons in macOS. It’s entirely possible that the new Files app is really just a rebranded version of the existing iCloud Drive app. It’s unclear if the forthcoming app will be a new stock item in iOS 11 or an optional download. If I had to guess, I’d say it will likely come pre-installed with iOS 11. 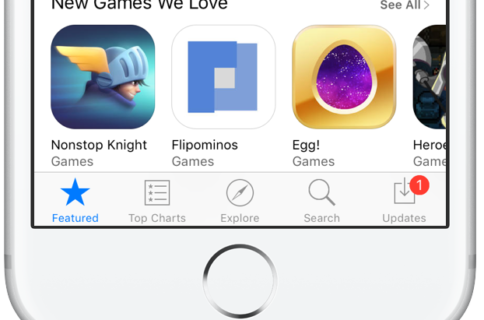 Since iOS 10, Apple has allowed users to hide most of the stock apps from their Home screen. 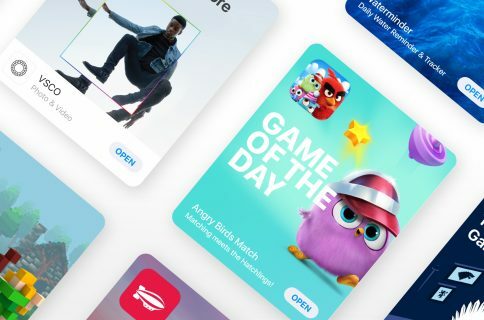 To help users easily re-install any removed stock apps, Apple has provided all of its first-party iOS apps that are removable as downloadable App Store items. iOS 11 will be previewed at WWDC later today along with tvOS 11, watchOS 4 and macOS 10.13.